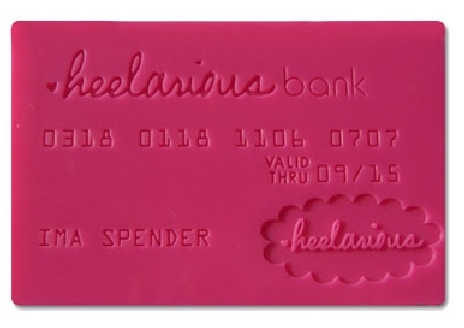 Baby’s First Credit Card by Heelarious is smooth on one side and bumpy on the other, providing relief for aching gums. It’s made of 100 per cent non toxic silicone and is BPA, Phthalate and debt free! I’ll leave the moral decision up to you (does this encourage spending habits in an eight-month-old?) but from a purely practical point of view, I always struggled to find teethers that were thin enough for little mouths to fit around and this one fits the bill. Baby’s First Credit Card is available in hot pink or lime green. It costs $24.95 and is available in Australia from Little Girly Gadgets.